There are 3 visits logged against Walter John. Have you been to see them? Click here to log a visit. Private Walter Brown was a stretcher bearer during the Battle of the Somme and was fatally injured while trying to help the wounded during an attack on Delville Wood. 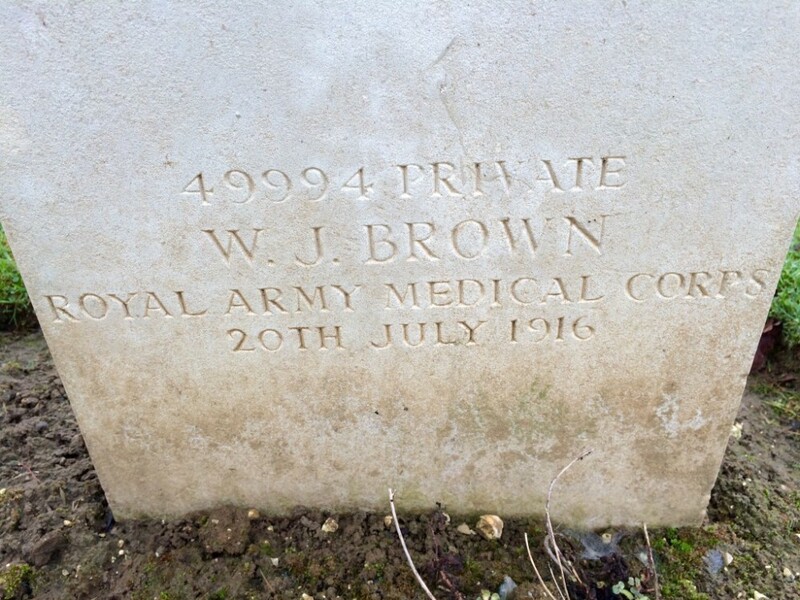 He had joined the Royal Army Medical Corps along with his friend Henry Bagshaw from Greetham. The two had consecutive army numbers but were not serving togther when they died. 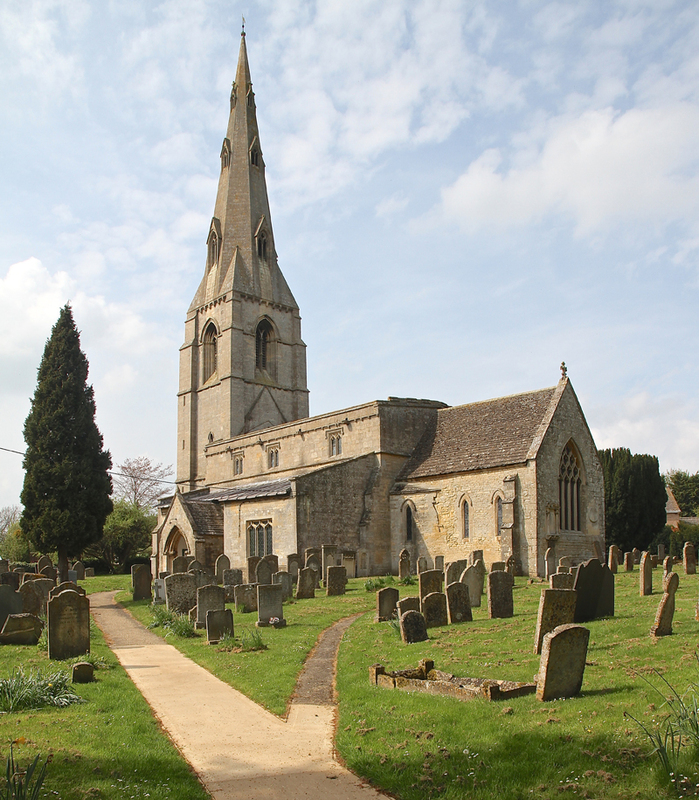 Walter John Brown was the son of Walter and Sarah Jane Brown and was born in Greetham on 27 December 1890. 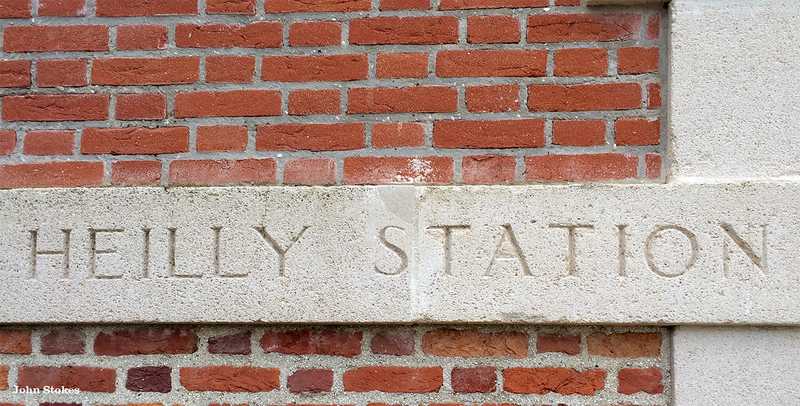 He and Henry enlisted in Oakham and joined the RAMC on 18 January 1915. Walter went out to France in January 1916 with 102nd Field Ambulance and was wounded in several places with three other stretcher bearers on 19 July 1916 as the British made another attempt to capture Delville Wood. 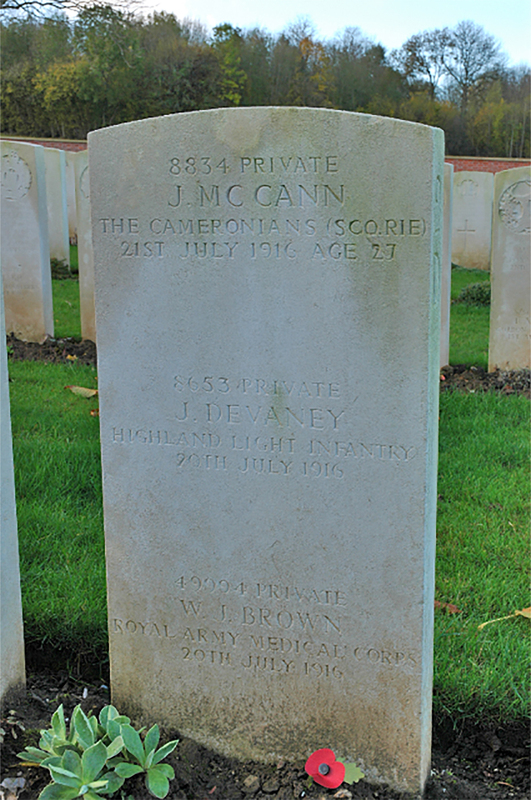 He was treated at a casualty clearing station but died the next day. His commanding officer wrote: "He showed great pluck and courage and was quite cheerful. He was a fine, courageous soldier, held in high respect and admiration by all. It may be some little consolation to feel that he died a hero's death in the noble effort to save life and assist his comrades-in arms and bring help to the wounded." 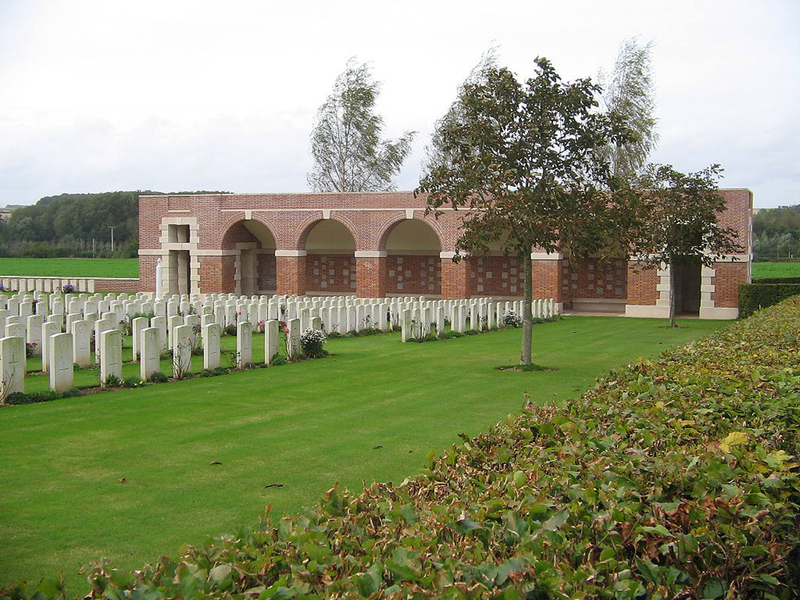 Walter is buried in France at Heilly Station Cemetery, grave II.D.60, and is remembered on Greetham's war memorial. 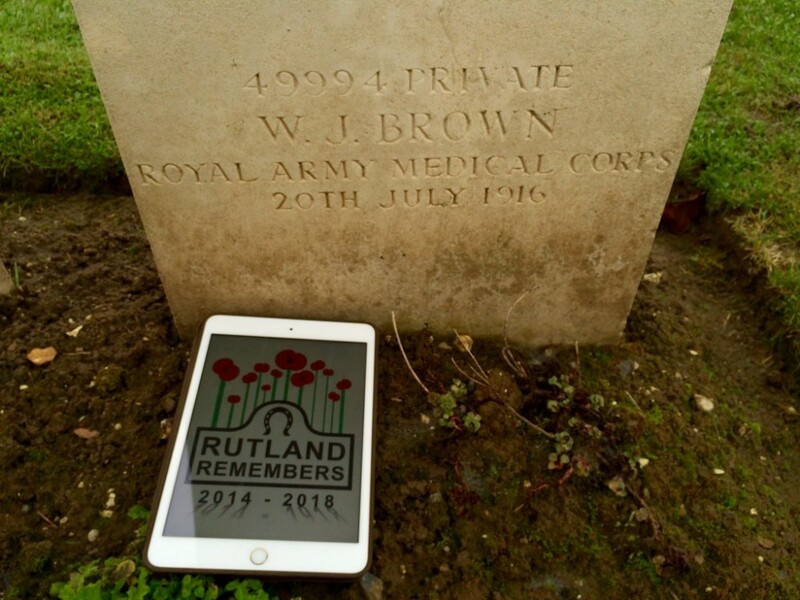 We are grateful to Greetham and the Great War for extra details about Walter. The photographs below are courtesy of Walter's descendant Sharon Kirk. 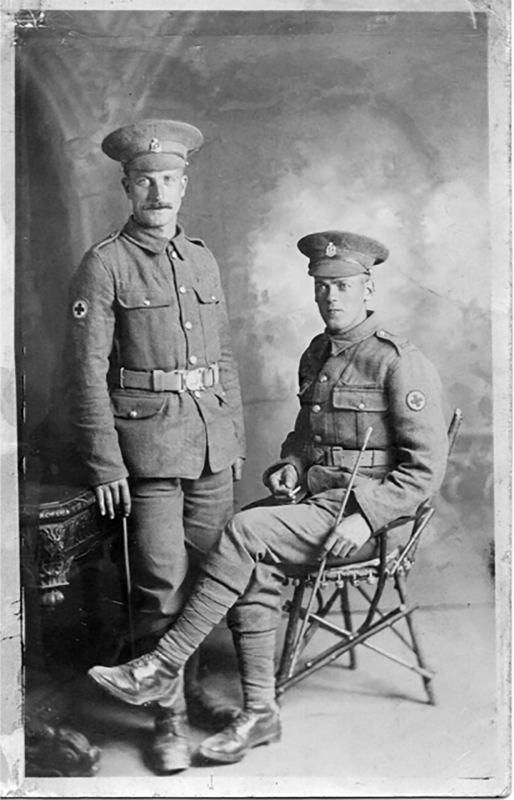 He is seen seated with a fellow soldier - perhaps his friend Henry Bagshaw? Other pictures show his service cutlery and the embroidered postcards he sent from the front. Do you know something about Walter John that hasn't been mentioned? 3 images Some pictures of his headstone. 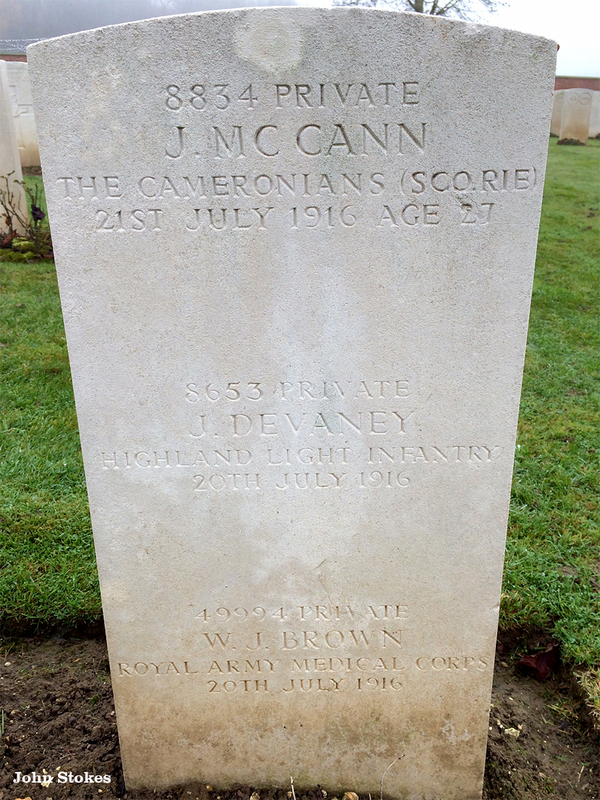 Mr Brown shares his headstone with two other men. 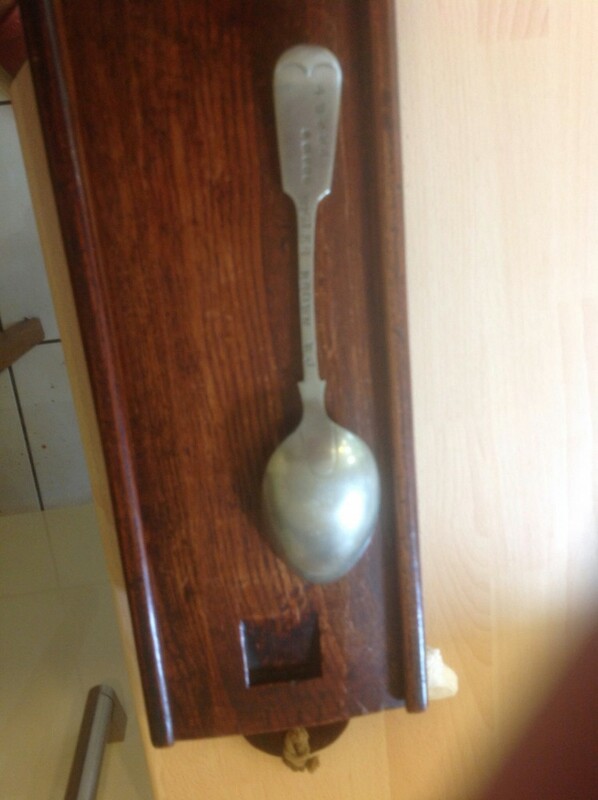 Walter John Brown was my Gt Gt Uncle - the photo shows his spoon with his number 49994 Bugler Brown W J. This was returned to his mother when he died she never got to see where he was buried and passed all the information to my grandmother and 27 years ago my mother and I finally got to visit since then my husband and I visit Heilly Cemetry each time we visit France. 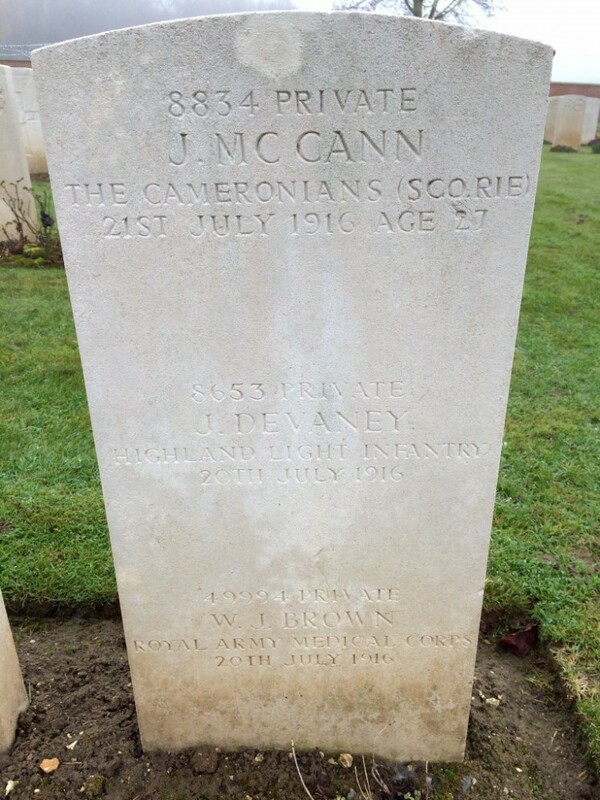 I understand the reason there are 3 names on the grave markers is that because of the numbers of dead they were laid to rest in a trench so the exact spot is not known. He worked at Greetham quarry before going to war. The main emphasis is quite rightly on the fighting soldiers but I like to think of men like Walter who bravely went to the front line with no weapons to save their comrades.